Retirement isn’t the end, it’s the first step toward something new – learning to fly! If you’re an Armed Forces Servicemember, Firefighter or Law Enforcement Officer, excitement is probably in your blood. The call of adventure, the thrill of pushing limits, the rush of adrenaline; it’s all a part of what you do and who you are. Don’t give it up when you retire. Whether it’s a full or part-time job, a second career as a Helicopter Pilot will supplement your retirement income and help you stay in touch with who you are and what you enjoy. Do What You Know: Helicopter Pilots use a lot of the same attributes and skill sets you already possess. Radio communications, attention to detail, fine motor coordination, tactical planning and the ability to perform in stressful situations are all valuable assets that will help you through flight training and serve you well as a commercial helicopter pilot. Train on Your Schedule: Learn to fly on the weekends or the occasional afternoon; we will work with your current professional schedule to prepare you for your next one. Because you have a retirement date to work toward, we can help you plan for a smooth, timely transition into commercial flight. For most of our part-time students, 2½ -3 years is all it takes to obtain a Commercial Pilot Certificate. Many of our flight school students start early and are able to supplement their income before they even begin their first retirement! Supply and Demand: As recently as July 2018, CNN and Forbes reported a critical shortage of pilots in America. These reports were largely based on a Pilot Forecast released by Boeing that predicted a significant need for both fixed-wing and helicopter pilots over the next twenty years. According to the report, approximately 20,000 new helicopter pilots are needed to meet anticipated demands. Why shouldn’t you be one of them and learn to fly as a career? Keep Serving: Continue to serve your community and nation as a helicopter pilot by flying for Fire Departments, Police Departments, Hospitals, Federal Enforcement Agencies and more. 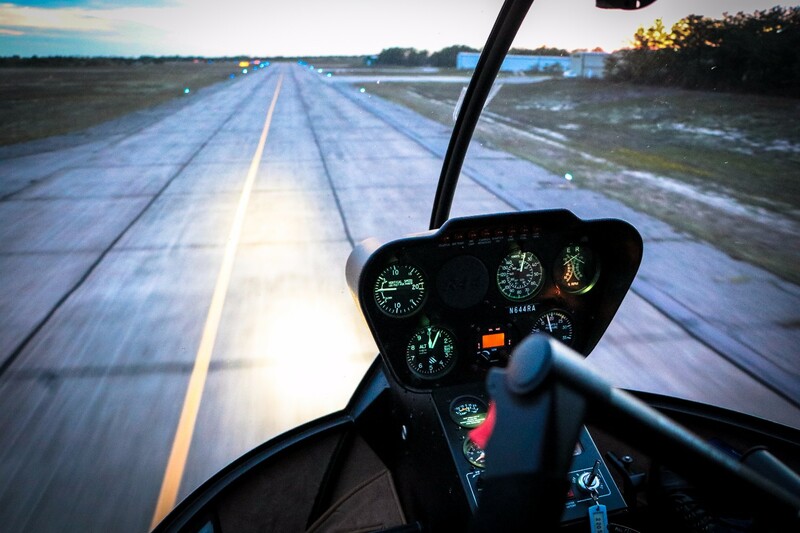 A career in the Helicopter Industry offers a number of exciting ways to fly, and the flight training we provide will make you a valuable commodity no matter which one you choose. You’ve always chosen to do something extraordinary, why change now? Retirement can be scary, or it can be thrilling. The choice is yours, but if you want to stay in touch with an exciting, meaningful career, we’re here to help you get your pilot license today. Have questions? We have time to talk. Call us at 401.859.1001 and see if a commercial pilot’s certificate is the right choice for you.